Now, Mars in 6th house. Mars is fighter & aggressive nature and 6th house is house of obstacles and conflicts. This is where Mars gets best environment. Mars finds best environment to deal with obstacles, conflicts and competitors and defeat them. But as 6th house is Upachaya House by nature, these results will be seen in 30s. In early life, person will have lots of issues and obstacles in life. They can be great Lawyer, Fighter, Sports Person or Doctors. They become pro-active in defeating their enemies. 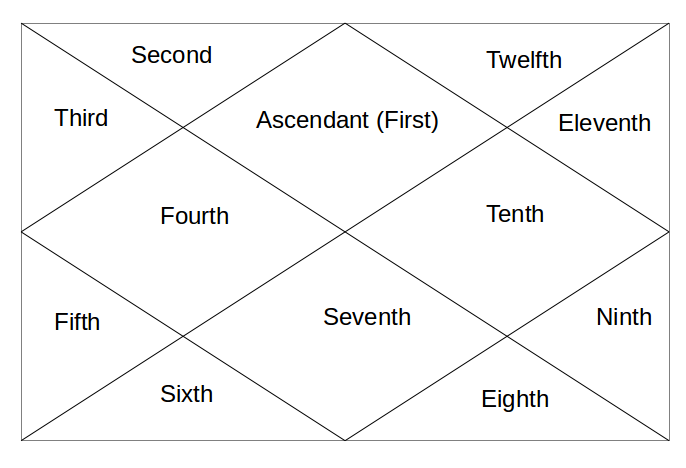 Aspect wise, Mars 4th aspect goes to 9th house and the person becomes fundamentalist in his religious views. He can have struggle with his Gurus and try to over-power them. Mars next aspect goes to 12th house and they can be spendthrift by nature. Mars next aspect goes to 1st house/Ascendant and can find it difficult to find their right life path in early life. Hope this helps. Next - Mars in 7th house. @ Abhijit - this will need detailed analysis. cant be replied in a comment.